One of the expert witnesses was Nadya Bartol, Vice President, Industry Affairs and Cybersecurity Strategist for the Utilities Telecom Council (UTC). Hearing Chairman Loudermilk asked Ms. Bartol a question regarding smart meters. A video clip of this exchange is provided below followed by additional relevant information. QUESTION FROM LOUDERMILK: I assume you are talking about a smart grid-type system. And part of that is the smart meters. 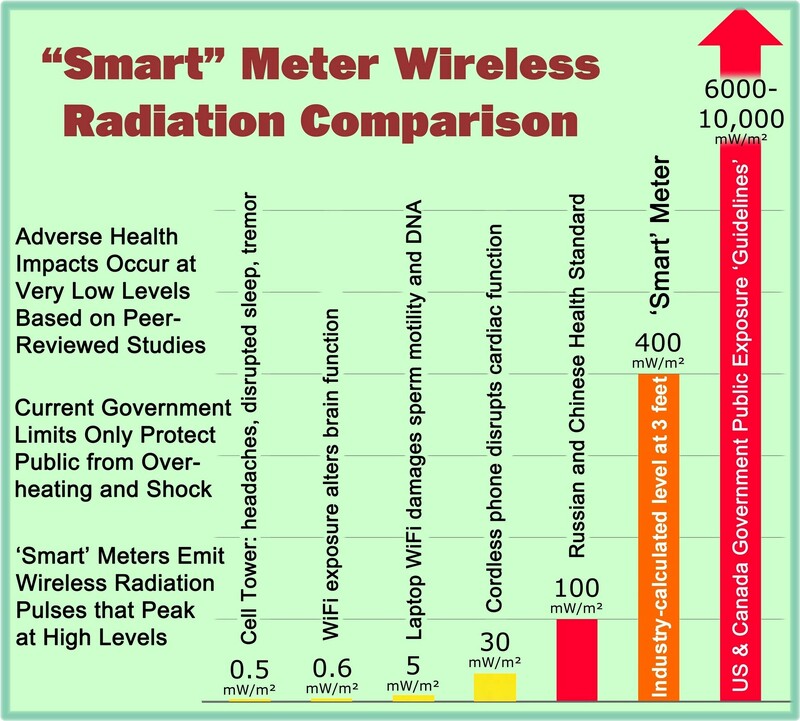 Is there a vulnerability of having smart meters at home and what type of information are we gathering from that? RESPONSE BY BARTOL: To my knowledge the information gathered from the smart meter is information about electricity usage. Nothing that qualifies as personal information is gathered. RESPONSE BY BARTOL: The vulnerability lies in the fact that this is smart technology. This is IP Internet protocol accessible technology and lots of access points, a lot more access points than before. So the Swiss cheese is bigger, and you have more opportunity to come in. That’s the vulnerability. Correction Provided by SkyVision Solutions: Possibly Ms. Bartol is a cybersecurity expert and not a privacy expert. Electricity usage information is “personal information” as noted below and as quoted from NISTIR 7628 Revision 1. The smart meter identifying number is also transmitted with the granular usage information which can then be associated with a specific customer account. Personal Information as defined by NISTIR 7628 Revision 1, Guidelines for Smart Grid Cybersecurity, Volume 2 – Privacy and the Smart Grid, (September 2014); Appendix G, pages 174 and 175. Although it was gratifying to hear mention of smart meters at the September 10th Congressional hearing, it was disappointing that one of the expert witnesses apparently doesn’t realize that energy usage data is “personal information.” Thus the privacy invasion aspects of smart meters were inappropriately minimized or downplayed at the hearing. On the subject of cyber threat vulnerability, the expert witness did reasonably describe the issue of lots and lots of access points with Internet accessible technology. The reference to “Swiss cheese” is appropriate to those understanding the phrase “more holes than Swiss cheese,” in that Ms. Bartol was likely referring to the fact that each smart meter could be thought of as an additional “hole” or possible point of entry into the grid system by hackers and others. Overall, as with most Congressional hearings, there is not much hope for definitive action or follow-up. In any case, I wanted to publicize the smart meter exchange from the Congressional hearing that would otherwise likely get zero press coverage. For those interested in this topic and as a follow-up, please contact your legislative representatives and present them with your concerns and additional facts as outlined in this article. 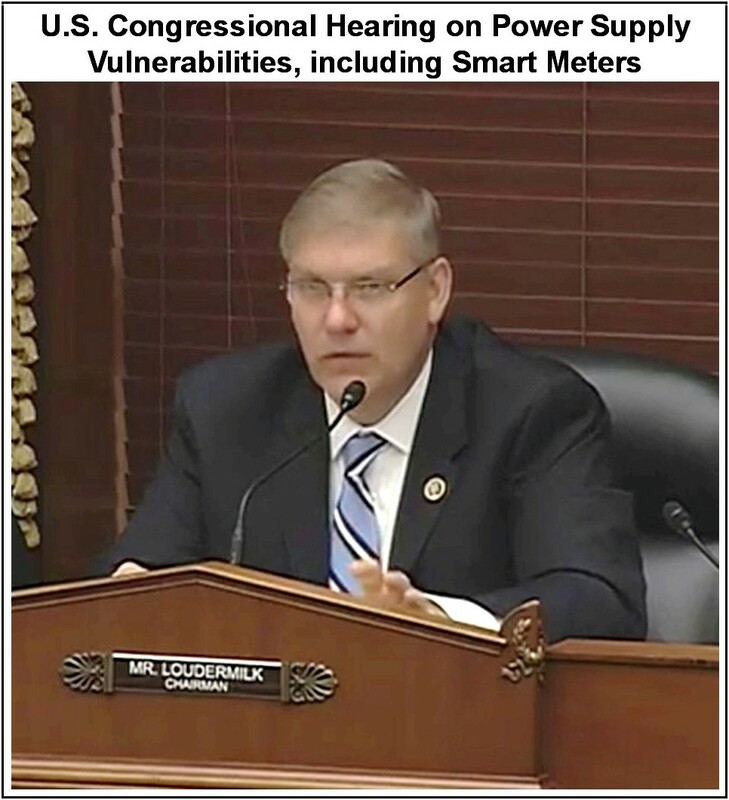 This entry was posted in Smart Grid, Smart Meters, and RF Emissions and tagged Congressional Hearing, Cyber Security, Cyber Threat, Privacy, Smart Meters. Bookmark the permalink.